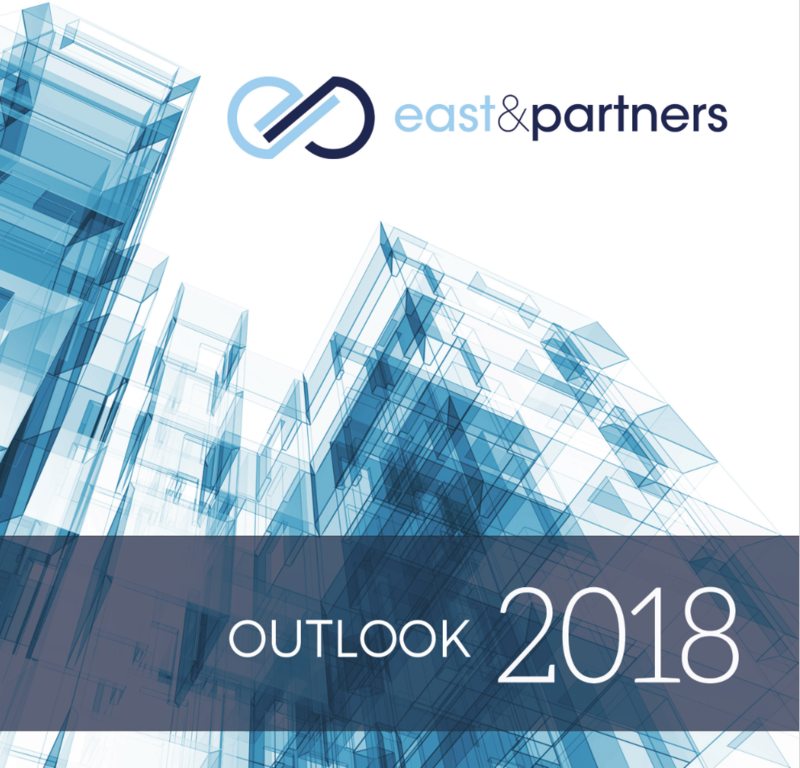 To find out how banks and financial institutions fared through-out 2017, and what the new year holds for the global business banking market, download East & Partners’ 2018 Outlook. Although banks and financial institutions around the world are faring relatively better than their recent past, competitive pressure from traditional rivals and emerging competitors are tightening margins, and impacting profit across both retail and business banking units. The banking and finance industry is increasingly being driven by expectations set by the “GAFAs”, (Google, Amazon, Facebook and Apple), and “BATs” (Baidu, Alibaba and Tencent) of the world, where customers get what they want, when they want, with seamless efficiency. While growing its roots in the retail and consumer space, the trend has fully impacted the corporate and business banking market, as businesses seek out and switch providers based on financial technology offerings. As a result, banks and financial institutions have recognised the importance of customer experience management and are driving deeper financial relationships by offering engaging and personalised service. With access to a wealth of internal data, paired with a “whole of market” overview, they can increase their share of market and customer wallet by offering a smooth customer journey from acquisition and onboarding, through to account expansion. To keep up with rapidly changing business demands, banks will have to re-evaluate how they predict and monitor what products and features current and future customers will need, and at what price point. While traditionally banks and financial institutions have been slow to adapt to customer needs, their success and failure will depend on how quickly they respond. Unfortunately for banks and financial institutions, there is no “one size fits all” solution as businesses across industries and segments have vastly different needs, and are no longer willing to settle for middle of the road products and services. They are more than willing to “multibank” and split their wallet across providers and for a variety of banking products. However, those providers that adapt, meet and exceed customer expectations, and stay relevant will reap the benefits in the long term. Open banking and Application Programming Interfaces (APIs) will be at the forefront of discussions throughout 2018. Regional regulatory initiatives such as PSD2 in Europe, Hong Kong’s Open API framework and launch of Australia’s New Payments Platform will transform how banks, financial institutions and payment service providers capture and share customer data. Although the consensus is that it is an inevitable path for the banking industry, success in retaining and expanding market share, particularly among Micro businesses and SMEs will depend on how incumbent providers position themselves, and whether technology companies can quickly build the inherent levels of trust accumulated by banks. Further on the digital front, the rise of artificial intelligence, and voice-activated banking through the ubiquitous use of smartphones and mobile devices will emerge in the coming year. Voice-enabled devices such as the Amazon Echo, Google Home and Alibaba’s Genie are becoming an everyday device. Despite some concerns of data and information vulnerability, banks and financial institutions will explore how they can integrate these devices into customer experiences. Across Europe, Asia and Australia, a key driver for business banking relationships will be trade and the provision of trade and supply chain finance. Further development in geo-political issues including US protectionism and Brexit will impact businesses trading across all three regions. Businesses will give preference to trade finance providers that develop and offer bank-agnostic products and platforms which minimise business risks including FX exposure, cost-effective cross-border payment features, and monitor liquidity across increasingly globalised supply chains. Despite a recent shift to transaction-based banking relationships between businesses and banks, lending and credit demand in 2018 will again heat up. With predictions of business credit growth to overtake retail lending in the new year, and tightening regulations – particularly in Europe and China, banks will need to ensure their products and service offerings are meeting customer needs. As online, peer-to-peer, and other non-bank lenders increase their presence, it’s imperative for traditional providers to ensure they maintain their share of market, wallet and customers’ minds. Regulatory technology will continue its maturity as financial institutions seek to adhere to increasing requirements from domestic and international bodies, as well as providing businesses with appropriate legal and compliance tools and advice. While some banks have incorporated compliance requirements into their business banking products, RegTech market is without clear-cut market leaders. As such there are ample opportunities for technology providers, banks and start-ups to cement their position as “best of breed” providers. Moving into 2018 and beyond, banks and financial institutions have no option but to embrace digital transformation. Despite the industry being built on physical interactions, be it onboarding new customers or providing advice, providers need to listen to the “voice of the customer” to develop products and services that drive loyalty through personalisation and a customer-first approach.